LOVED adventuring with the V family at the Hansen Tree Farm in Anoka! They added a beautiful baby boy to their family earlier this spring (I was lucky enough to be present to photograph Baby Jens' birth experience!) and these were their first family photos together. I've known mama Jill for 10+ years, but I'd never met her older kiddos until our session... It was so lovely to finally meet them, as I feel like I've known their personalities (through Jill's fabulous social media posts!) for many years already. 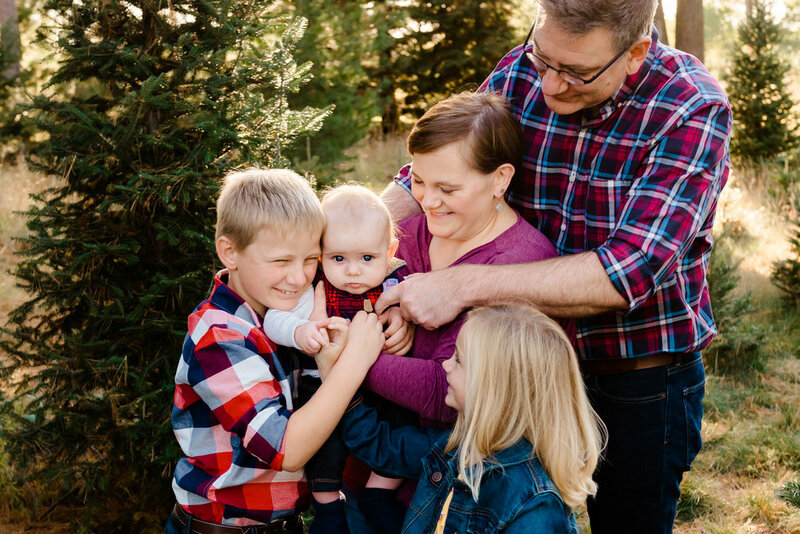 They are such a loving, spunky, adorable family and the kiddos have such a zest for exploring and learning new things. What a treat to photograph this beautiful family! Here are a few of my favorites from their session!